Outlook is most probably the best email client widely used everywhere. Whether it is an office or a home, outlook takes the lead. Microsoft Outlook comes inbuilt with MS-Office software package. 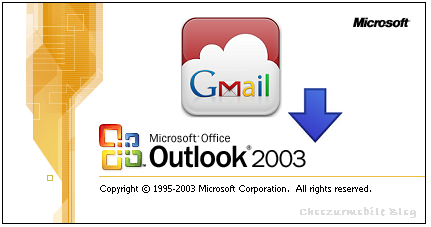 If you want to combine your outlook and Gmail account, there is an easy way. With this, you can use additional tools and settings after combining these accounts on your Outlook Express email Client. Outlook has simple yet powerful user interface with much more advanced email options and settings. Adding Your Gmail to Outlook will certainly enhance the communication and productivity. Outlook doesn't work well with multiple email accounts. So, if you already have an email account added or tried half way, you must either take backup and set it to leave a copy of new mails on a server before setting up a new account. 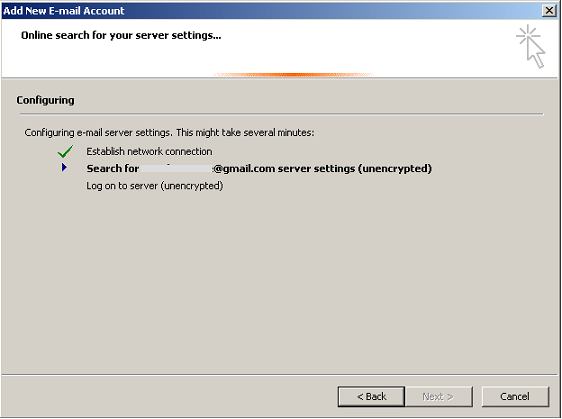 As Gmail also downloading emails from the same mailbox server, you will need to ensure to use only one email account at once. Most of the email clients including Yahoo, AOL, Comcast gives POP access automatically. You can even sync them to your Outlook. Go to Gmail > Account Settings > Click on tab called "Forwarding and POP/IMAP"
Now Enable POP tab and disable IMAP through IMAP Access tab. "Enable POP for all mail (even mail that's already been downloaded" - this option will download all old and new messages to outlook. Option "Enable POP for mail that arrives from now on" - this option will forward new mail to you outlook client currently (email client) and not old emails. To parallelly keep copy to Gmail, select "Keep Gmail's copy in the inbox" in "When messages are accessed with POP"
Click on "Add Account" link in the right panel. In new window add your Gmail account details such as Your Name, Your Email and Password. Once outlook confirms your account, click on Finish button. Once done, Your Gmail emails will get into outlook as well. Easily access your email. Outlook Web App supports IMAP access for most of the email services excluding Gmail. 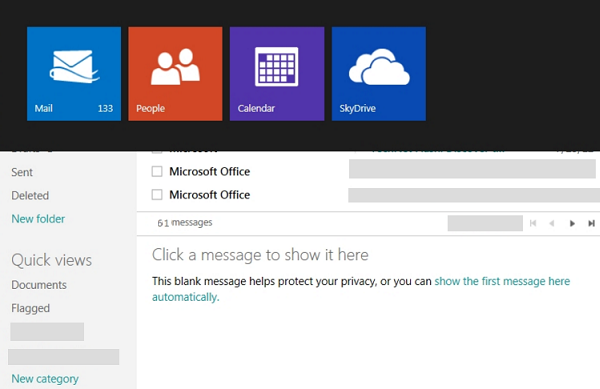 With IMAP, all folders and subfolders within the email setup will be downloaded to Outlook. 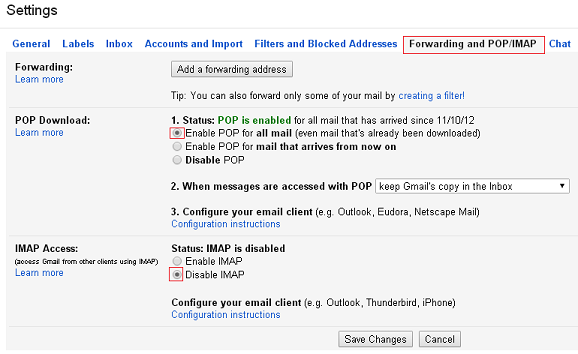 Click on "Forwarding and POP/IMAP" settings tab. Select "Enable IMAP under IMAP Access tab"
Start Outlook in Metro Interface windows. Here Outlook will run to Setup wizard. Click on Next. Click on New tab which is Microsoft outlook Account setup. Click on Yes and hit Next. Next select "Add Account" and Insert your Gmail details in it. Once setup is done, you will be able to access your Gmail emails through your Outlook Express as well.